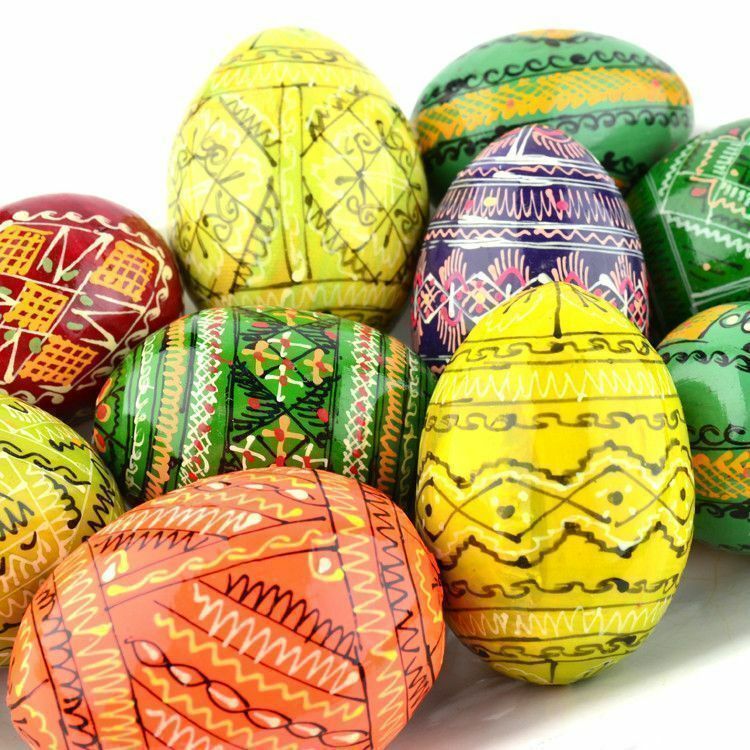 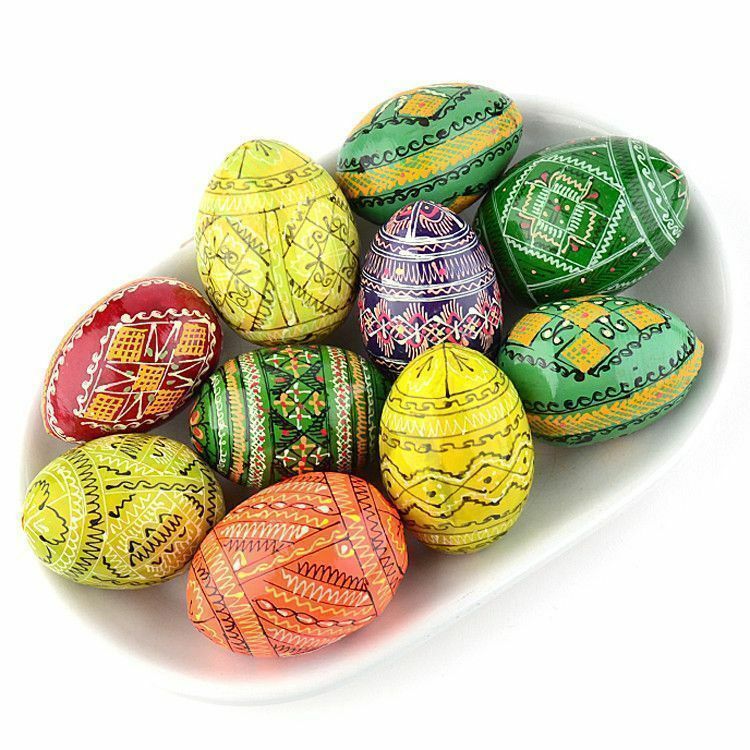 Ten colorful Pysanky eggs, great for gifting and/or decorating your home with during Eastertide! 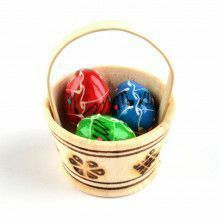 hand-painted, gloss finished, wooden Pisankas are approximately 2" to 2 1/2" long each. 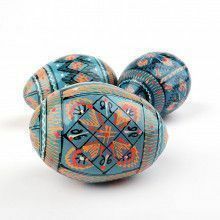 Pascha (Russian Easter) is not complete without these Ukrainian folk art eggs. 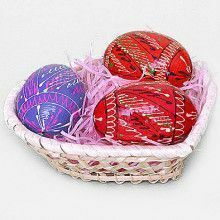 Colors may vary from picture.